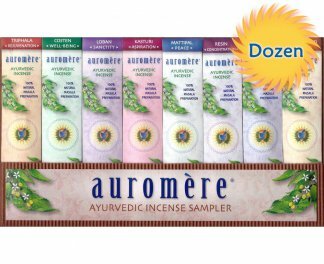 The Vata dosha is generally characterized as light, thin, dry, quick, high-strung, fragile, wiry, flighty, brittle, and airy. The Vata balancing incense in this set tend to soothe, and have a grounding effect on airy, high-strung Vata natures. 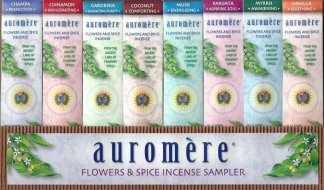 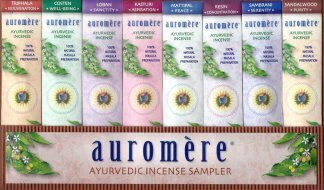 These incense fragrances help to calm restlessness, while instilling a serene sense of deepened purpose, harmony, and well-being. 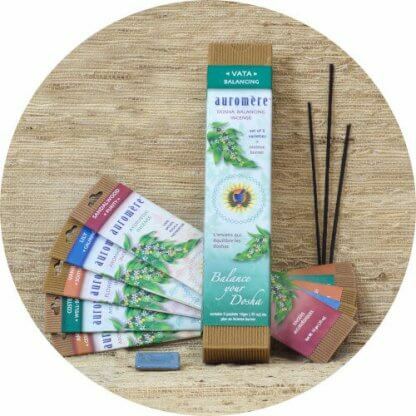 A small decorative ceramic incense holder is included with each set.